French Baroque music is a thing apart for many, whether or not they’re in the classical space. Just the phrase itself conjures up images of high wigs, corsets, buckle shoes, a coterie of nobility sitting by candlelight, heavily festooned and occasionally nodding off. 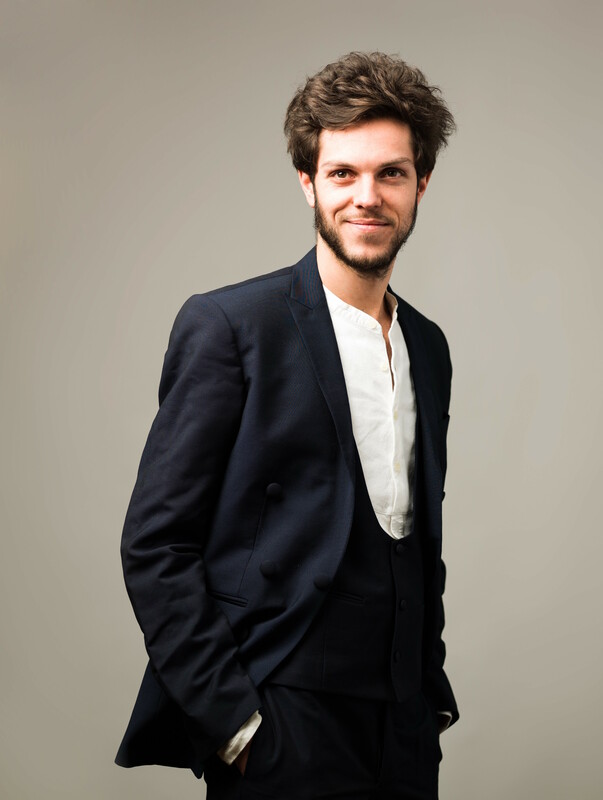 Raphaël Pichon stripped that image away, gently, with careful detail, in his concert with the Deutsches Symphonie Orchester Berlin (DSO) last night. The native Frenchman, who is also an established countertenor and the founder of the Ensemble Pygmalion (a group specializing in historical performance) brought a sinuous approach to the material, which retained a delicate quality that nevertheless became more and more fulsome as the evening progressed. Admire this lovely fine glass, Pichon seemed to whisper, but remember it’s as strong as steel. With a program modelled on Baroque music theatre and featuring period-specific pasticcio (or pastiche), the evening was a lovely treat which featured some stellar and, occasionally very robust playing from the DSO. Pichon moved the orchestra beyond the merely ornamental, drawing phrases and sounds out that clearly anticipated the future opera sounds of composers like Rossini, Bellini, and Verdi. 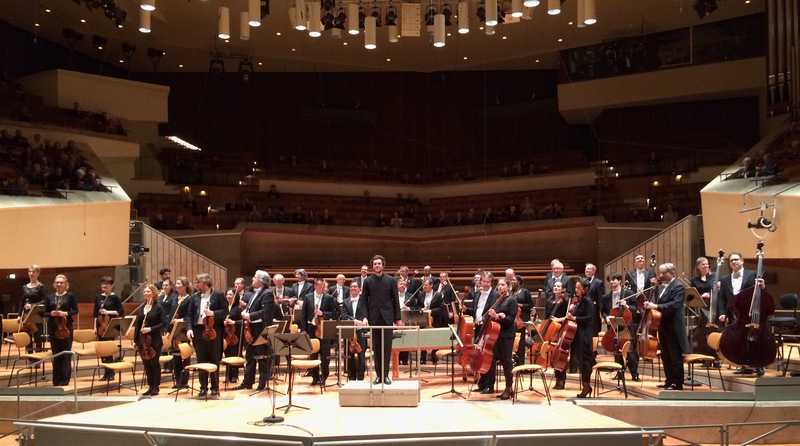 This was not a concert about bold sounds and choices; it was, rather, a fascinating exploration of the pasticcio format highlighting the connective nature of inspiration, in both creation and presentation. Composers, especially in the 17th and 18th centuries, freely used, absorbed, and interpolated the work of each other into their own, mixing portions of both original and non-original composition freely; Handel, Gluck, and Johann Christian Bach used this technique in various operas, as did Mozart in his first four piano concertos. What we might think of as “stealing” today was merely artistic reinvention then. Add a layer of Baroque opéra-ballet theatre, with its format of prologue, three entrées, and epilogue, and you have the makings of a very satisfying evening. While it may seem structurally daunting, nay even deadening, Pichon and the buoyant DSO ensured the evening was clear, involving, and musically concise. The program, which consisted of works by two French 17th-18th century French composers, Rameau in the first half, and Gluck in the second (with a Rameau piece to close), was dramatic and fiercely engaging. The orchestra brought a loving energy to the tambourine-tinged prologue to Rameau’s 1739/1744 opera Dardanus, extending that sense of careful control to Gluck’s “Danse des furies” (“The dance of the furies”) from his 1774 opera Orphée et Eurydice. Never one to luxuriate over phrases or lean too far into one section, Pichon teased out the undulating brass and woodwinds sections, perpetually in a dance; this suited the many ballet (/ ballet-influenced) works on the program, but it was also sonically satisfying to note the interplay between instruments, people, and conductor. This program wasn’t “pretty music” simply for the sake of it, but conveyed character, mood, and drama, without hitting its listener over the head or lulling them into passive listening. The clean lines of the strings section were especially refreshing and were led with charismatic aplomb by guest Concertmaster (and Baroque music specialist) Alexander Janiczek, who shared a special, convivial chemistry with guest soloist, soprano Julie Fuchs, a very last-minute replacement for the ailing Sabine Devielhe. Fuchs, making her DSO debut, soared in her delivery, but smartly paced herself with the material; opening with the prologue “Feuillages verts, naissez” (“Green leaves are born”), Fuchs worked gently around the softly luxurious flute work of Gergely Bodoky, wrapping phrases and gorgeously shaped vowels into sounds that introduced the evening with quiet grace. Her performance of “Viens, hymen” from Rameau’s 1735 opera-ballet Les Indes Galantes (The Amorous Indies) was shot through with both a suitably palpable sadness (which suits the character) as well as a steely clarity. By the evening’s close, Fuchs was in high-flying spirits, bringing a range of vivid colors to “Aux langueurs D’Apollon” (“The languor of Apollo”), from Rameau’s 1745 opera Platée, an innovation for its time in that it was a comic work. 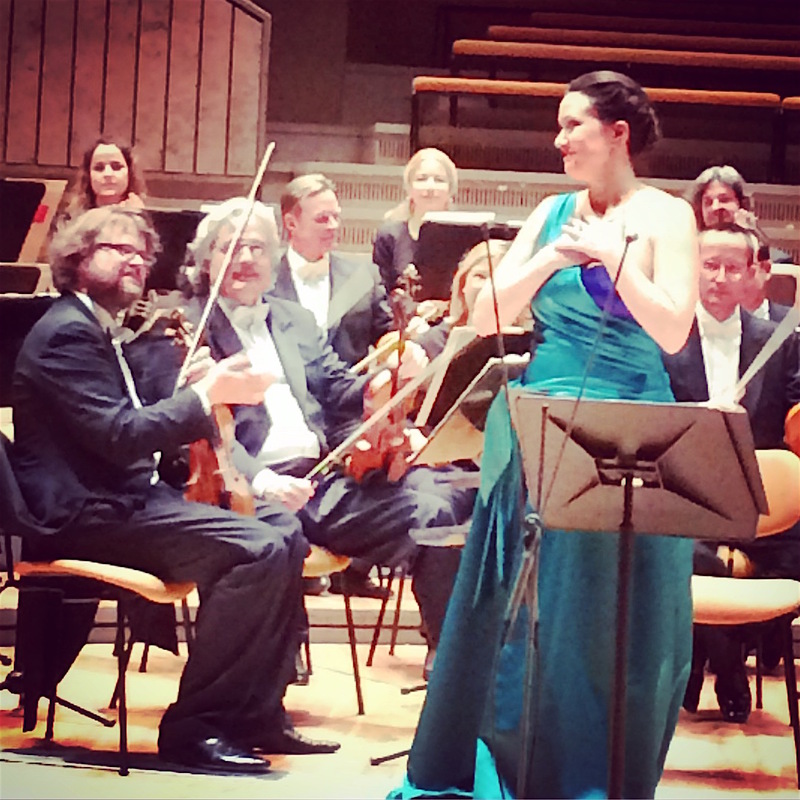 Fuchs playfully danced around both conductor Pichon (replacing him at one point on the podium) and Janiczek, modulating texture and bending vowels to create a memorable, comic, deeply felt performance that inspired smiles both on and off the stage. Merci and Vielen Dank, Raphaël, Julie, Alexander, and DSO!